Welcome to Man and Van Mates! For the best transportation of your items we are inviting you to take advantage of our immaculate man and van services in London. We can organize the whole process, as we work in consistent and professional way. All your belongings will be successfully moved to your new place of living in a fast way. Our employees are equipped with the most modern vehicles and trolleys so you can be absolutely sure of the quality of work. We are honest and reliable and we can transmit a wide range of furniture as well as other items. We are aware of the fact that our customers need to feel secure with the people who take up with the removal of their belongings. We can assure you that all of our employees are completely trained and that they work according to all the standards. 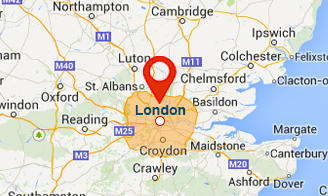 Our man and van service in London is fast, effective and performed in a safe way. We move valuable possessions from one place to another and we arrange everything in a careful manner. As we are thoroughly professional in every detail, we know that we can handle with every task that needs to be performed for the removal of the belongings. In our work we use innovative approaches that are efficient and reliable. Our 24/7 availability is a great advantage for those of you who have busy working schedules. The experienced and competent staff collaborates with the customers in a friendly way. Our competitive prices are another benefit for those of you who cannot invest a huge amount of money for man and van services. Find us in London and book this useful service. No matter of the day and hour you can count on us for the complete removal of your items. You can take up with other important activities and you can leave this duty to our professional team of workers. Should you need any further details, feel free to use the customer support centres that have excellent working time – 7 days per week. Choose the best offer for man and van services in the area! Copyright © 2014-2019 Man and Van Mates Services. All Rights Reserved.